The freedom of students to learn at university is being eroded by a performative culture that fails to respect their rights to engage and develop as autonomous adults. Instead, students are being restricted in how they learn, when they learn and what they learn by the so-called student engagement movement. Compulsory attendance registers, class contribution grading, group project work and reflective learning exercises based on expectations of self-disclosure and confession take little account of the rights of students or individual differences between them. This new hidden university curriculum is intolerant of students who may prefer to learn informally, are reticent, shy, or simply value their privacy. Three forms of student performativity have arisen - bodily, participative and emotional – which threaten the freedom to learn. 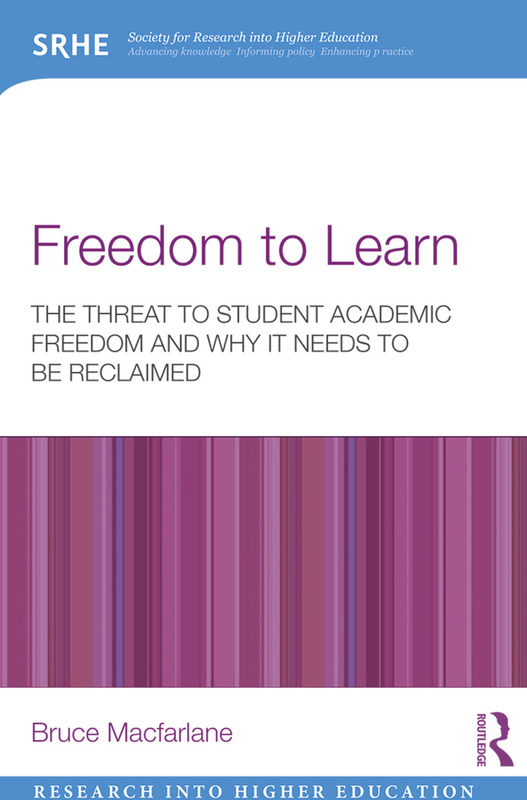 Freedom to Learn offers a radically new perspective on academic freedom from a student rights standpoint. It analyzes the effects of performative expectations on students drawing on the distinction between negative and positive rights to re-frame student academic freedom. It argues that students need to be thought of as scholars with rights and that the phrase ‘student-centred’ learning needs to be reclaimed to reflect its original intention to allow students to develop as persons. Student rights – to non-indoctrination, reticence, in choosing how to learn, and in being treated like an adult – ought to be central to this process in fostering a democratic rather authoritarian culture of learning and teaching at university. Written for an international readership, this book will be of great interest to anyone involved in higher education, policy and practice drawing on a wide range of historical and contemporary literature related to sociology, philosophy and higher education studies. Bruce Macfarlane isProfessor of Higher Education at theUniversity of Southampton, UK. This exciting new series aims to publish cutting edge research and discourse that reflects the rapidly changing world of higher education, examined in a global context. Encompassing topics of wide international relevance, the series includes every aspect of the international higher education research agenda, from strategic policy formulation and impact to pragmatic advice on best practice in the field.